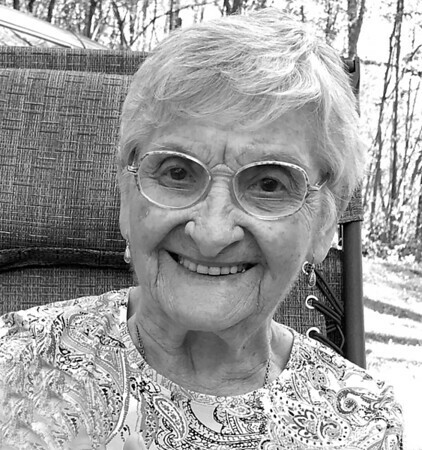 Daria (Bianchi) Lombardo, 96, of the Plantsville section of Southington, passed away peacefully on Thursday, April 4, 2019, at home, surrounded by her loving family. She was the wife of the late Sam Lombardo. She was born on Feb. 26, 1923, in the province of Morbegno, Italy, the daughter of the late Jack and Theresa (Alberti) Bianchi. Prior to her retirement, she had worked in the office at Fafnir Bearing Company in New Britain. She is survived by her daughters, Joyce Chester and husband, Thomas of Deland, Fla., and Doris Frisina and husband, Marc of Southington; a sister, Norma Stewart of New Hampshire; and grandchildren, Shaunna Marquis and husband, Christopher, and Dawn Kalanquin and husband, Joseph; great-granddaughter, Kora Marquis, as well as many nieces, nephews, and cousins. Memorial calling hours will be held on Saturday, April 13, 2019, from 9-10 a.m. followed by a Mass of Christian Burial at 10 a.m. at St. Dominic Church, 1050 Flanders Road, Southington. Burial will be at the convenience of the family at St. Mary’s Cemetery. In lieu of flowers, donations may be made to the charity of the donor’s choice. DellaVecchia Funeral Home, 211 North Main St., is assisting with arrangements. For online condolences and directions please visit www.dellavecchiafh.com . Posted in New Britain Herald, on Monday, 8 April 2019 20:28. Updated: Monday, 8 April 2019 20:31.